I Need Help with Alcohol – What Can I Do? 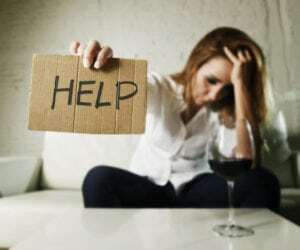 Alcohol Addiction Treatment FloridaI Need Help with Alcohol – What Can I Do? So, you’ve reached the point where you realized “I need help with alcohol“. It is perhaps the biggest step to overcoming addiction because the evidence-based treatment for alcohol use disorder is highly successful over the long term. But what exactly can you do to overcome an addiction to alcohol? Wondering what happens in an alcohol detox program? Click here to learn more. With over 15 million adults with alcohol use disorder in the United States in 2015, the abuse and dependence to alcohol is a major concern for many families, communities and the nation as a whole. By realizing that “I need help with alcohol”, you have already overcome some of the symptoms of the disease of addiction: the avoidance of treatment. But what are the steps to take to start your journey to recovery? In this article, we will explore the best ways to overcome the disease. As with many things in life, it’s better to set yourself obtainable goals, especially when a goal is potentially difficult to reach. Once you’ve decided that I need help with alcohol, then you need to start preparing yourself for change and setting goals to achieve an alcohol-free life. Goals can be as simple as setting a date that you want to stop drinking, or cut back on the amount you drink. Alternatively, you can set goals such as avoiding alcohol on weekdays. Goals can be adapted as you progress, such as stopping altogether after 3 months of cutting back on drinking. If you’ve come to the conclusion that “I need help with alcohol”, but you’re unsure of how to achieve this goal, then the following tips may help you. Remove temptations – If there’s no alcohol in the house and you don’t go to a bar or party that serves alcohol, it will become easier to avoid drinking. Avoid peer pressure – Bad influences such as friends that encourage you to drink can be the downfall of your plan to quit drinking. Let friends and family know – Let the people in your life know that you have set yourself drinking limits or that you’ve decided to stop drinking to avoid them pressuring you unknowingly. What if You Can’t Stop Alone? Of course, one of the symptoms of addiction is that the addict is unable to exert any control over how much they drink, for how long they drink, or how frequently they drink. It can, therefore, be a losing fight at times for a person to stop drinking when they have become dependent on the substance. In fact, brain chemistry changes making it physically difficult to stop – another symptom of the disease of addiction. So, how do you stop if you find yourself fighting this losing battle? You get professional help. Regardless of perceived stigma surrounding professional help for addiction, it remains the best way to beat dependence to alcohol. One of the elements of alcohol use disorder that makes it so difficult to stop, and so dangerous, are the withdrawal symptoms. For the addict, it feels like if they don’t have more alcohol then they can’t function. This isn’t far from the truth; however, only through alcohol detox help can the person recover safely and prevent the situation from becoming worse. Alcohol detox centers not only have qualified physicians and staff, but they also have access to alcohol detox medication to reduce symptoms and make the process safer. Through the help of alcohol detox centers, you can get through arguably the worst part of recovery: the detox.